My deadline for this Thank You card design challenge is appearing to be a lot closer than it was yesterday, but I determined to keep moving forward until the very end. I wish it was today because there are other creative projects I want to focus my attention on. I’m addicted to knitting, and someone told she made an infinity scarf in an hour last night while watching T.V.. So, now I can’t wait to get paid again and drop some money at one of the three craft stores near my house to pick up more yarn, beads, and of course, ribbon so I can finish my necklaces. Lately, I’ve been in a crafting kind of mood. I still love graphic and website design, but I’m just ready to rotate my creative juices around so I can remain inspired for the next design project when it comes my way. Anyhow, I do have a Thank You card finished for today and it’s inspired by an outfit, specifically a top and skirt. I loved the color palate and just turned the outfit into a card. 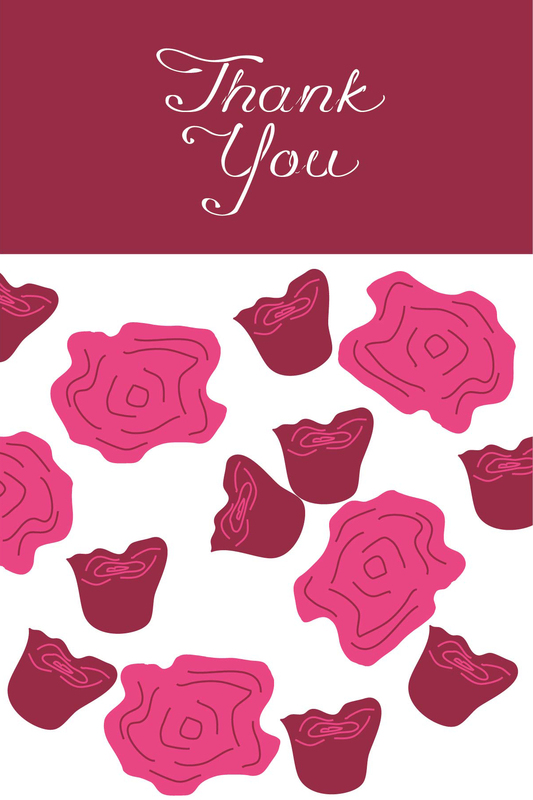 This entry was tagged blog, blogs, card, cards, colorful, colors, design, flowers, graphic design, pattern, patterns, pink, red, Thank you, thank you blog, thank you card, thank you card blog, thank you cards, white. Bookmark the permalink.